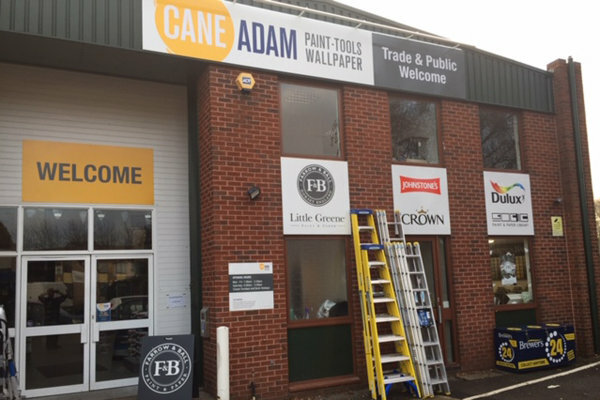 Our Weybridge store is Cane Adam, a decorating store set up in 1985 with a family-run approach that married perfectly with the Brewers way of working. We welcomed Cane Adam into the Brewers family back in 1995. 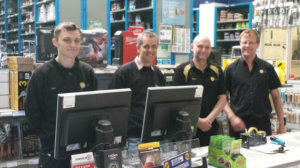 Here we stock not just a fantastic range of designer paints and trade paints for tradespeople, but all sorts of decorating and surface preparation essentials, woodcare products and even power tools. We carry out colour-matching of around 20,000 colours in-store, and of course there’s a huge range of wallpapers to pick from in our dedicated wallpaper room. 24 hour pick up at your local store! Designed for the busy decorator, our 24 hour collection service uses a simple and secure lock box system. When ordering your goods with your local store, you'll be sent a code (unique to your order) by SMS so that you can access the secure lock box at a time that suits you. There’s lots of free parking directly outside the branch, which is easy to negotiate for those with restricted mobility. We’re on the Waterside Trading Estate off Hamm Moor Lane, just off the A317 dual carriageway between Weybridge and Addlestone. You will see the Cane Adam branch on the left at the end of a row of industrial units.